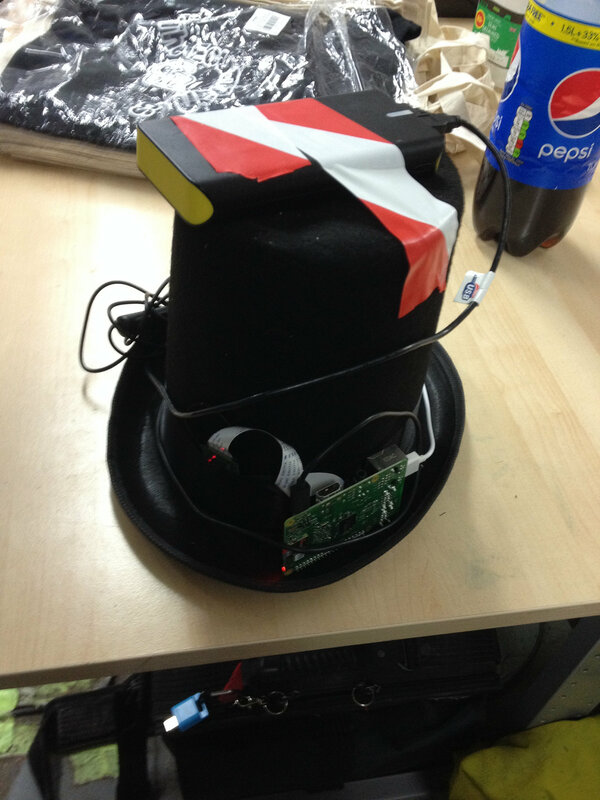 We’ve made more progress on the HackspaceHat (HackspaceHat is a telepresence hat for exploring Hackspaces). Part 1 has a bit more background. We have a hat! At Barney’s suggestion it’s an Isambard Kingdom Brunel-style stovepipe hat (£6! ), giving it a Bristol theme but also plenty of room for electronics / batteries etc. Other hackspaces would need to choose a hat appropriate to their locale. We’ve decided on a means to ensure that people are aware that the camera and audio are being used. Our initial thought was an emergency services style flashing blue light, but Alaric had a better idea: an “On The Air” sign with a light built into the hat. We did a local test of the components draped over the hat to work out the position of the camera. We realised we should use it for reporting live from Bristol Mini Maker Faire! We’ve managed to get it working on a remote server, after some bother with ec2. Here’s some information about the remote part. It still doesn’t work on an ec2 instance and I’m quite baffled as to why not – any ideas appreciated. It’s very strange because it does work from within my house when run on an ec2. But not when accessed from anywhere else. 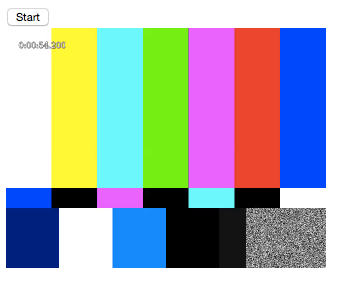 Went to http://<ec2_public_ip>/janus-gateway-streamtest.html on Firefox 39. Exactly the same set up on an identical Linode instance works perfectly, from everywhere. The difference might be that ec2 instances have all incoming ports firewalled by default, but it’s very strange even so. Why would it only work in my house? Anyway, it works! sort of! I set up a gstreamer pipeline on a pi 2 sending its streams to the linode instance and that was fine, though not very peer-to-peer (kudos to AndrewN for arguing that that was actually more efficient if there are multiple clients accessing it). danbri and I tested it Bristol->Sarajevo with an irc command channel (“turn right!”). It kind of works over 3G too, which raises interesting possibilities. This entry was posted in Uncategorized on August 5, 2015 by libbymiller.